Jhin is an interesting champion in League of Legends, he’s a marksman with unique traits and a sweet playstyle. He has tons of lore surrounding his past, with this lore comes interesting facts. This list will cover everything from how players have received it, how he’s played and how often. Here’s the top 10 facts about Jhin! Jhin was the first champion to be released during 2016, Riot released plenty of teasers to get players hyped up for what would be one of the most memorable releases for a long time. Four teaser pictures were released showing popular champions being ‘killed’, this got players hyped up so much. Then the trailer came out and it hit the playerbase like a truck, its regarded as one of the greatest champion trailers ever. With a total of 2 skins, Jhin isn’t leading the race for the most variety. This is understandable considering he’s still fairly young though. 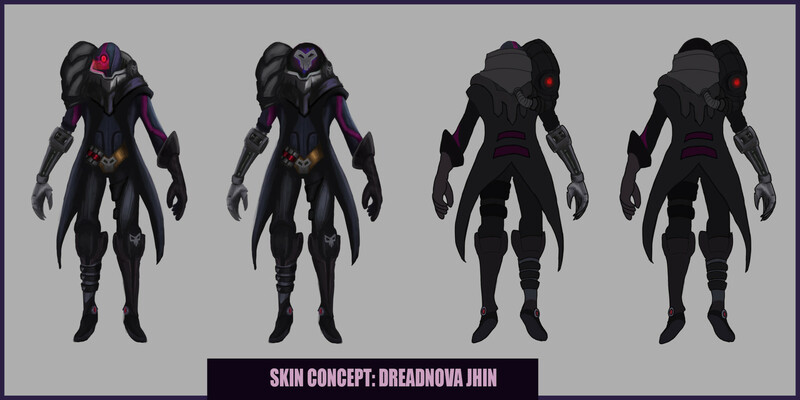 What’s incredible are the amount of fan-made skins for Jhin, there’s Arclight, Dreadnova, Blood Moon and PROJECT. 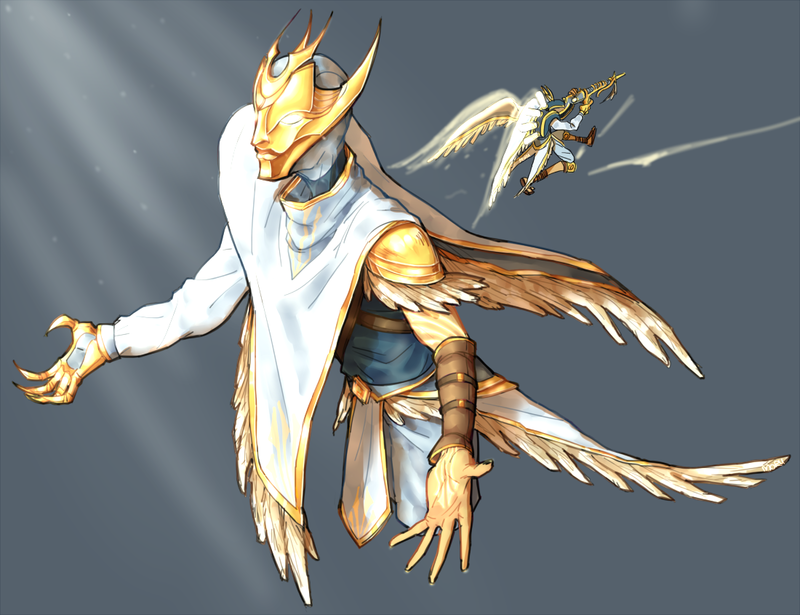 There are plenty of cool skins that can be made for Jhin! 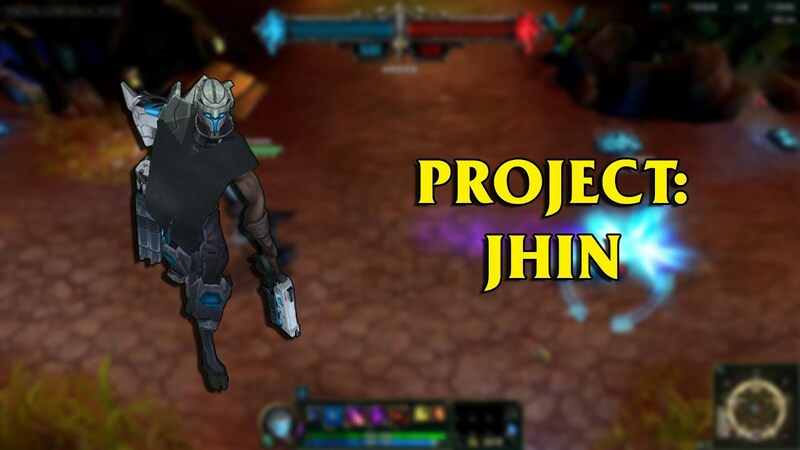 Jhin was devised by Riot Gypsylord, he’s a champion designer at Riot Games and has worked on a number of other champions. Such as Jinx, Vi, Gnar & Ekko. As you can tell, he has a lot of talent for producing unique characters with their own aspects that attract players. Plenty of champions have their own voice lines, Jhin has a hidden one too. If at any point you choose to buy Banshee’s Veil on him, you’ll receive a unique voice line “I love to perform, but I hate crowds”. This is a reference to Banshee’s Veil blocking crowd control effects. A pretty neat voice line to add. Jhin is absolutely obsessed with the number 4. There is a large amount of evidence for this. The teaser images released show Jhin assassinating four people, his gun has 4 shots, his Q bounces 4 times, his marks last for 4 seconds and his ult also has 4 shots. Furthermore, the number 4 is engraved on his gun. Riot have released info detailing this, Gypsylord himself said it was intentional and the number 4 is a sign of death in a lot of cultures. Jhin has had a wave of success since his release, at first he was played mid and jungle as well as ADC, this halted his win rate a lot. Since people figured out that bot was the only place for him, he started going over the 50% success rate, players were calling for nerfs and deservedly so, he and the keystone Deathfire Touch were a brilliant combo. Then came the lethality meta that completely busted him and made his winrates spike. Lethality got hit hard and then a new item, Blade of the Ruined King, was released. He’s now at a 46.8% winrate which is quite horrific but that’s mostly due to players using him who don’t really know how to use him. The Virtuoso has been a popular pick from Bronze to pro play ever since his release. He’s considered weak at the moment but he still has an 9.2% pick-rate over all ELOs. This is incredible when you think that there’s well over 100 champions in the game. He’s just so damn fun to play, even when he’s weak. Jhin has actually remained one of the more balanced champions in the past year or so. He’s seen very few changes, only some power shifts between abilities and a little bit more counterplay added. It’s great to see a champion not be released in a bad state, immediately gutted or made overpowered and then dumpstered. 2. But how is he as a champion? Overall, I would say Jhin is a unique and interesting character who is fun to play, but also feels fair for both the player and the enemy. He has lots of windows for the enemy to take advantage of, and a lot of power in-between those windows for the player to use effectively. His damage is really high but at the same time, he’s squishy and immobile. He’s a great champion to use at all ELOs, although somewhat difficult to use fully. Jhin has been a consistent top-level pick from his release until the lethality nerfs. His kit is far more powerful in the hands of a good player with great aim, good reactions and team co-operation bringing the best out of him. He was one of the main champions that SKT T1 Bang used to win Worlds, hopefully we might see an SKT T1 skin for him!